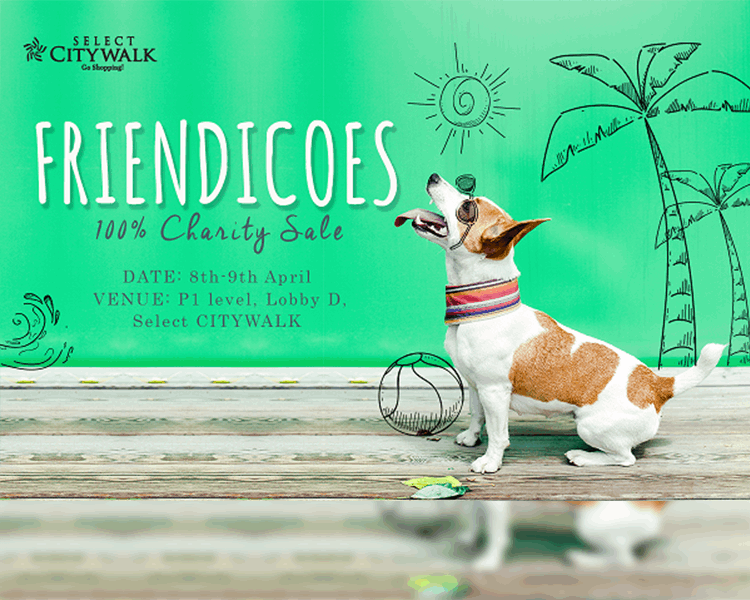 The Friendicoes 100% Charity Sale is on from April 8th – 9th at Select CITYWALK, P1 Level, Lobby D. You can enjoy products from Armani Jeans, Armani Exchange, Gap, Magnus Opus and WomenWhoCare. Everything you spend at the sale will be donated to Friendicoes for the benefit of all the animals they care for. Head over for this one of a kind event, it’s a cause for paws.